PORTLAND, Ore. -- The Humane Society of the United States is offering a reward in the recent shootings of sea lions at the mouth of the Columbia River. Washington state director Dan Paul says the people responsible should be brought to justice, and the group is offering $2,500 for information leading to an arrest and conviction. About 20 dead sea lions -- most with gunshot wounds -- have been found in recent months. 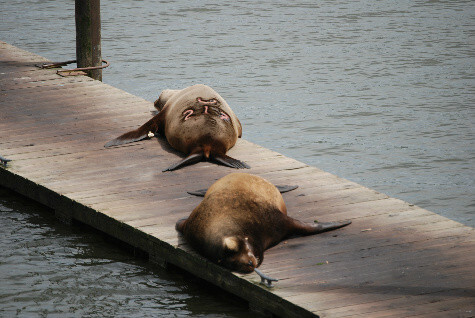 The shootings may be related to sea lions eating salmon at Bonneville Dam. The Humane Society has brought a lawsuit trying to stop state authorities from trapping and killing sea lions that eat salmon waiting to swim the fish ladder at Bonneville Dam. Sea lions are protected as a marine mammal, and the NOAA Fisheries Service has been investigating.